Keeping the lights on in a manufacturing environment remains top priority for industrial companies. All too often, factories are in a reactive mode, relying on manual inspections that risk downtime because they don’t usually reveal actionable problem data. 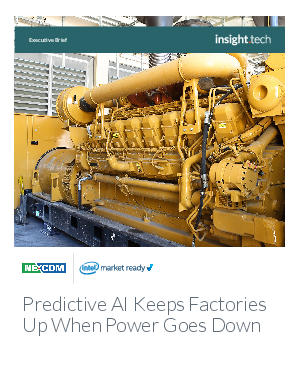 Find out how the Nexcom Predictive Diagnostic Maintenance (PDM) system enables uninterrupted production during outages by monitoring each unit in the Diesel Uninterrupted Power Supplies (DUPS) system noninvasively.